“Go to the store. Go directly to the store. Try the taste of the most carefully brewed beer in the world. The beer that takes 1,174 careful brewing steps. Schlitz. Real gusto in the great light beer. “Schlitz” certainly sounds better than “Blatz”, another (but less well known) Wisconsin brand. Once upon a time, Schlitz was a really great beer, and while a strong #2 behind Budweiser, was perhaps the best tasting nationally available beer in America. But, in the mid-1970’s, in an attempt to lower costs, they changed their recipe, (abandoning many of those 1174 brewing steps). The went from using 100% fresh hops to one using hops extracts and made a number of other changes to shorten the brewing process. The beer tasted just fine…WHEN IT MADE, fooling Schlitz into thinking they had succeeded. But after a few days without refrigeration in real life distribution, the beer taste changed for the worse. Much worse. Within weeks, as the new nasty tasting brew spread across America, sales fell dramatically. The entire supply chain was filled with time-bomb beer. Unlike new Coke, due to the delays of brewing and the need for contracts in advance for the ingredients, they were unable to purchase fresh hops and undo their mistake. The brand and the company died. 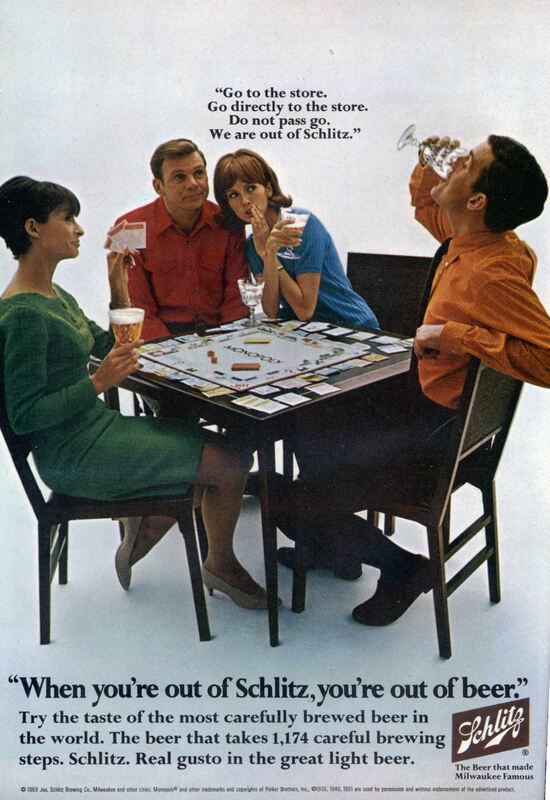 Ah, those swingin’, drunken couples Monopoly parties of the sixties. 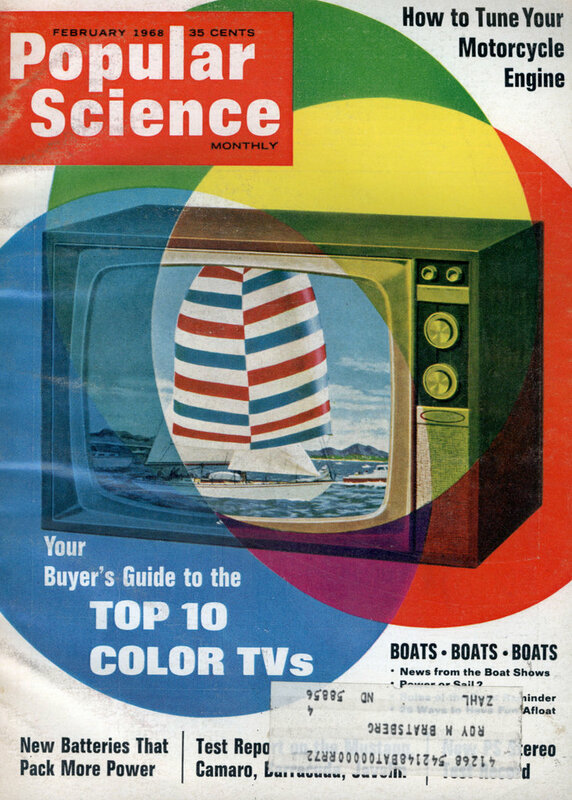 DocScience — Thanks for the history lesson! That’s interesting stuff. This blog has some good, educated commenters. Cheers!